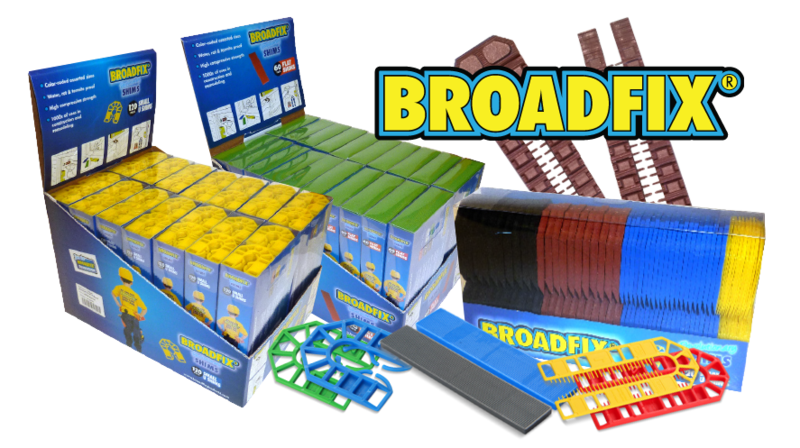 Broadfix provides a one-stop solution for all your plastic shims, wood shims and composite shims needs. From levelling doors and windows to granite countertops and kitchen cabinets and much, much more – we have the right door shims, window shims, and kitchen shims for the job. From simple wood shims to our new plastic shims, we offer top quality shim products in a variety of formats because at Broadfix, we are the shim experts.